President Emmerson Mnangagwa’s government wants to enlist the services of Interpol to hunt down his predecessor Robert Mugabe’s allies who skipped the country when the military toppled the veteran ruler last month. Former ministers Jonathan Moyo, Saviour Kasukuwere and Paddy Zhanda are believed to be the prime targets because of alleged corruption-related crimes. The Zimbabwe Anti-Corruption Commission (Zacc) pursued Moyo during Mugabe’s era for the alleged theft of Zimbabwe Manpower Development Fund money. Moyo used to argue that Mnangagwa was using Zacc to pursue a personal vendetta linked to the fight over Mugabe’s succession. Zacc has already arrested four close Mugabe allies namely Joseph Made, Walter Chidakwa, Ignatius Chombo and Jason Machaya. Former Zanu PF youth leaders Kudzanai Chipanga and Innocent Hamandishe were also arrested on criminal charges linked to the army takeover. Home Affairs minister Obert Mpofu confirmed in an interview with The Standard that the government would use Interpol to hunt down those outside the country. “We are doing everything possible to ensure that those that have committed crimes within Zimbabwe and are outside Zimbabwe are brought to book. If it means engaging Interpol, we will go that route,” he said. However, Mpofu refused to single out Kasukuwere, Zhanda and Moyo as the prime targets of the investigation. “We are talking about all those that committed crimes in Zimbabwe and if they committed crimes, they will be involved in this exercise,” he said. 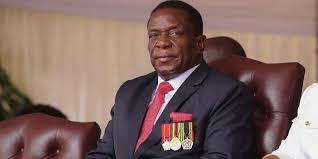 On Friday, Mnangagwa said he had forgiven G40 members, including those that had escaped to other countries, but said three of them remained defiant. He did not mention anyone by name. The government early this month froze Kasukuwere and Moyo’s bank accounts. Meanwhile, besides Mnangagwa’s public pronouncements that Zimbabweans must let “bygones be bygones”, indications are that state institutions are pursuing G40 members. According to reports, Chipanga is set to lose his farm in Rusape as punishment for supporting former first lady Grace Mugabe’s campaign against Mnangagwa. The former farm owners have already been assured that they would get their farm back, sources said. Another farmer in Rusape, Robert Smart has since moved back to his farm after Mutare-based clergyman Bishop Manhanga was removed. Manhanga was a staunch Mugabe ally. Human Rights Watch’s southern Africa director Dewa Mavhinga said the government must prove that the spate of arrests was not a form of revenge by the Zanu PF Lacoste faction, which won the battle to succeed Mugabe. “Mnangagwa’s government has a challenge to demonstrate that recent arrests of former ministers are not driven by vengeance and political witch-hunting and that there is total commitment to rooting out corruption,” he said. “Will the government target some current ministers who have in the past been publicly accused of corruption like Obert Mpofu, who was accused of demanding a $10 million bribe by Lovemore Kurotwi? Human rights activist Patson Dzamara said the arrests had nothing to do with corruption but were an extension of Zanu PF factional wars. “There is absolutely no way these arrests can be about corruption,” he said. “It’s no brainer appreciating that Zanu PF is a den of corruption, but when you see one corrupt individual arresting another then you must know it’s not about corruption.